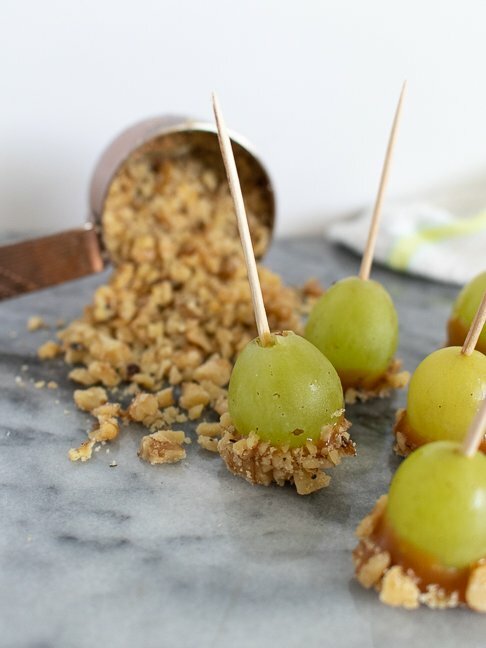 While caramel apples are a delicious fall staple, they’re also sticky and difficult to make. I mean, how does the caramel manage to get on my elbows?! Or my hair? 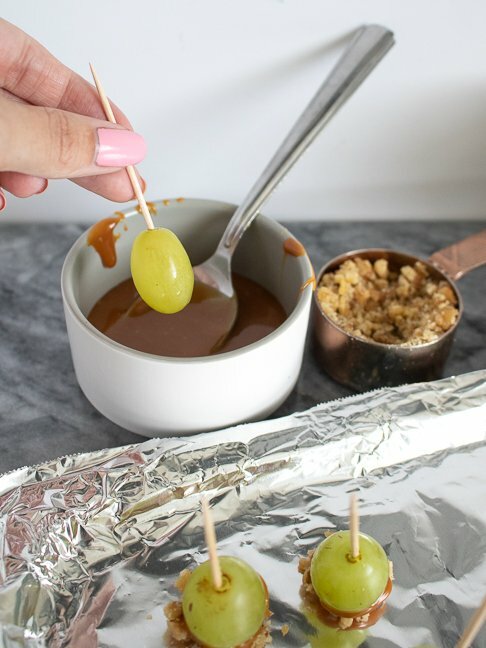 So, instead of giving into demands for caramel apples this season, I know another treat that’s equally tasty and significantly easier for both the moms making them and the kids eating them…caramel “apple” GRAPES. 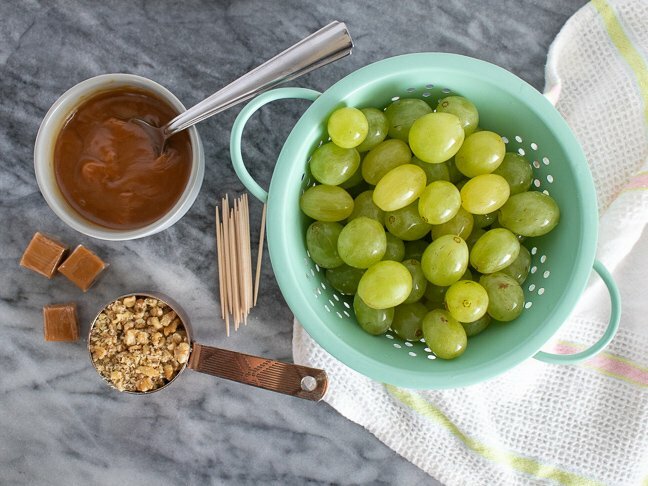 These bite-sized caramel grape snacks make less mess and taste just as good as caramel apples. 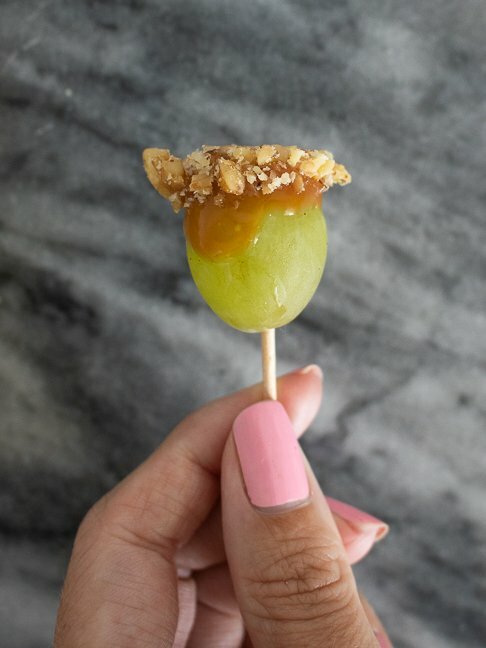 Plus, everything is better when it’s tiny, right? 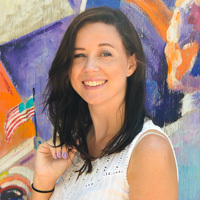 What’s the down side? 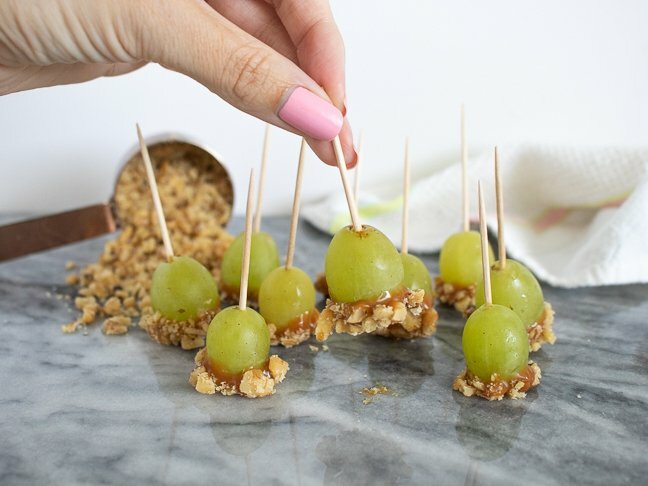 Unlike large caramel apples, it’s very easy to eat a dozen of these in about five minutes. That’s how delicious they are!